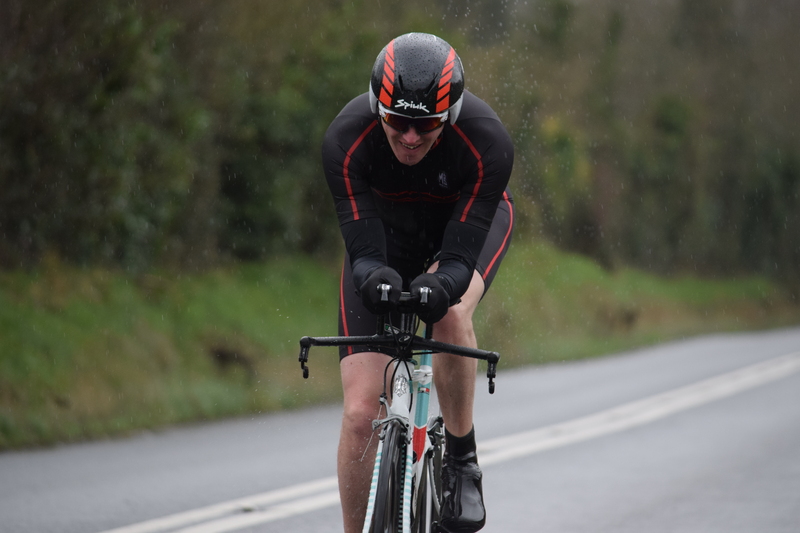 Southeast road club held the first of four rounds of their “Wellington” TT league on Saturday last with 12 cyclist turning up to brave the inclement weather and compete on a 13Km circuit on the old Dublin road north of Arklow. The top three home were Joe Sheehy from Bray Wheelers collecting all 12 points with a time of 18 minutes and 38 seconds followed by Brian Cullen from the Newross based Rossbury cycling club crossing the line with a time of 18 minutes and 52 seconds to claim second spot and ten points, with Denis McCarthy from the Gorey based Slipstream club opening his account with 8 points after completing the circuit in a time of 18 minutes and 54 seconds, just two second behind Cullen. Southeast road club would like to thank all for turning up, especially the marshals who gave of their time to stand in the wind and rain through out the event to ensure competitors were kept safe . The league continues next Saturday 9th March and is open to all cyclists that hold a current cycling Ireland licence, first rider off at 10am, entrance fee is only €5, hopefully weather conditions will be more favorable.